Richard Earl Hawley was born 2 January 1942 in Albany, NY. Hawley graduated from the U.S. Air Force Academy in 1964 and was commissioned as a Second Lieutenant in the Air Force. He has served as Commander of U.S. Air Forces in Europe and Allied Air Forces Central Europe with headquarters at Ramstein Air Base, Germany. He also commanded an Air Force group, a wing and U.S. Forces Japan and 5th Air Force, with headquarters at Yokota Air Base, Japan. He served as a Forward Air Controller at Pleiku Air Base, South Vietnam, where he flew 438 combat missions. 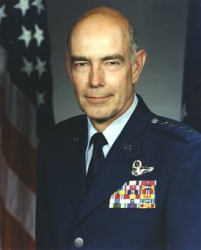 On 1 August 1995, Hawley was promoted to the four-star rank of General and assigned as Commander-in-Chief, U.S. Air Forces in Europe (CINCUSAFE) and Commander, Allied Air Forces Central Europe (COMAIRCENT). In 1996, he was named as Commander, Air Combat Command (COMACC). General Hawley retired from the Air Force on 1 July 1999. During his service, he became a Command Pilot with over 3,000 hours and 438 combat missions. The aircraft flown include the O-2A, A-10, F-4 and F-15. June 1964 - March 1965, student, Georgetown University, Washington, DC. March 1965 - September 1966, Staff Officer, Office of the Deputy Chief of Staff for Personnel, Headquarters U.S. Air Force, Washington, DC. September 1966 - September 1967, student, pilot training, Williams AFB, AZ. October 1967 - September 1968, student, F-4C and O-2A training, Homestead AFB and Hurlburt Field, FL. September 1968 - September 1969, forward air controller, Pleiku Air Base, South Vietnam. October 1969 - September 1972, F-4D combat crew member, 36th Tactical Fighter Wing, Bitburg Air Base, West Germany. September 1972 - June 1973, member, Headquarters U.S. Air Forces in Europe Inspector General team, Wiesbaden Air Base, West Germany. July 1973 - February 1974, student, Armed Forces Staff College, Norfolk, VA.
February 1974 - March 1976, Operations Staff Officer, Office of the Deputy Chief of Staff for Plans, Headquarters U.S. Air Force, Washington, DC. March 1976 - September 1977, Assistant Executive Officer to the Air Force Chief of Staff, Headquarters U.S. Air Force, Washington, DC. September 1977 - July 1979, Operations Officer, 68th Tactical Fighter Squadron; Assistant Deputy Commander for Operations, 347th Tactical Fighter Wing and Commander, 347th Combat Support Group; Moody AFB, GA.
July 1979 - July 1981, Director of Operations, 1st Tactical Fighter Wing, Langley AFB, VA.
July 1981 - July 1982, student, Naval War College, Newport, RI. July 1982 - April 1984, Vice Commander, 313th Air Division, Kadena Air Base, Japan. April 1984 - March 1986, Commander, 18th Tactical Fighter Wing, Kadena Air Base, Japan. March 1986 - September 1986, Special Assistant to the Commander in Chief, Headquarters Pacific Air Forces, Hickam AFB, HI. September 1986 - August 1987, Vice Commander, 7th Air Force, Osan Air Base, South Korea. August 1987 - August 1989, Deputy Chief of Staff for Plans, Headquarters Pacific Air Forces, Hickam AFB, HI. 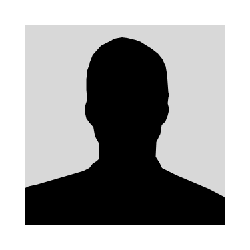 August 1989 - August 1991, Director of Operations, Office of the Deputy Chief of Staff, Plans and Operations, Headquarters U.S. Air Force, Washington, DC. 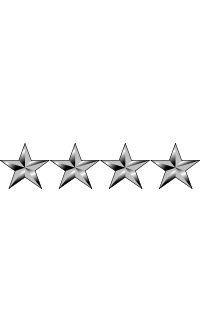 August 1991 - November 1993, Commander, U.S. Forces Japan and 5th Air Force, Yokota Air Base, Japan. November 1993 - July 1995, Principal Deputy, Office of the Assistant Secretary of the Air Force for Acquisition, Washington, DC. July 1995 - April 1996, Commander, U.S. Air Forces in Europe and Commander, Allied Air Forces Central Europe, with headquarters at Ramstein Air Base, Germany. April 1996 - July 1999, Commander, Air Combat Command, Langley AFB, VA.